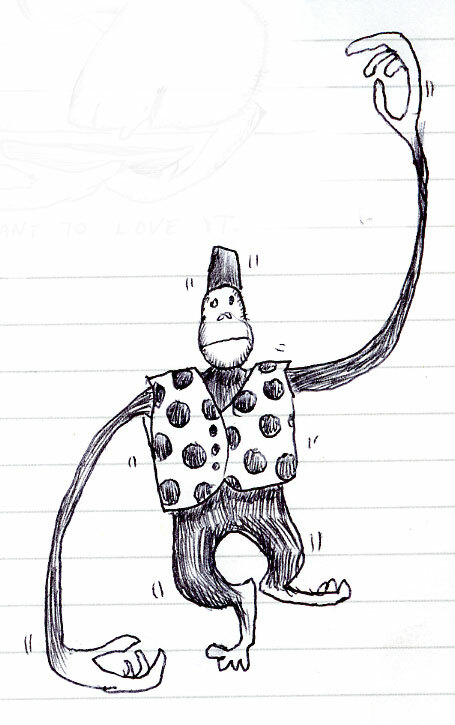 Eric asked for a dancing monkey earlier today. I just got home and whipped up this wee fool of a chimp while the kids watched TV. This entry was posted in creature, doodle, doodles, monkey, requests. Bookmark the permalink.